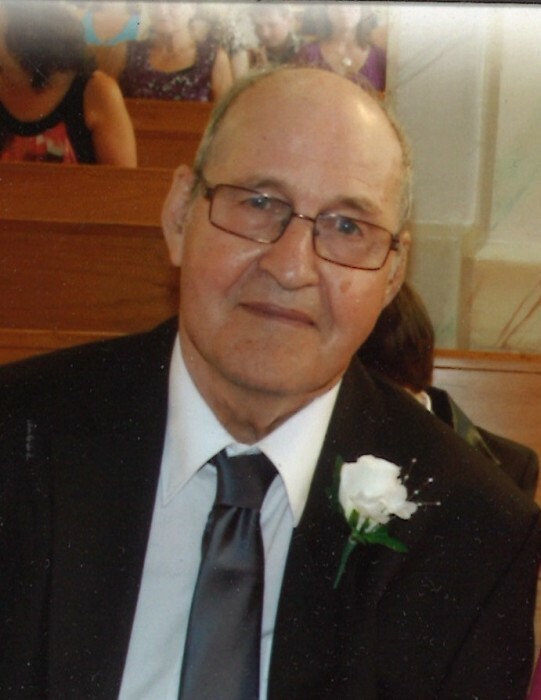 Obituary for Louie Allan Evans | Grays Funeral Chapel LTD.
Lewis (Louie) Allan Evans passed away on Friday, March 15, 2019 at the age of 81 years at the Victoria Hospital, Prince Albert, SK due to a battle with COPD. Louie was born in Birch Hills, SK to Raymond and Edna Evans on August 23, 1937 one of fifteen children. He attended Harmony School District #59 in Hagen. Louie met and later married Darlene Schmidtz on September 30, 1961. Louie was a man with many skills, and he brought those to his diverse professions he worked in his life but he finished his last 16 years with Catholic Education. Louie and Darlene lived in Prince Albert since 1981.Through those years he filled his time with curling, quadding, and camping but to Louie his biggest pride was found in being a husband, father, grandfather and great grandfather. Louie is survived by his loving family: wife of 57 years Darlene; son Bruce (Wendy) Evans: their children Cassandra (Jason) Tucker, Kaitlin (Tyler) Murphy and Benjamin Evans; son Glen (Joan) Evans their children Kimberly (Evan) Dobmeier , Gregory (Sara) Evans and Andrew Evans; son Miles (Shelley) Evans their children Ashley (Nigel) Jurgens, Courtney (Curtis) Evans and Joshua Evans, daughter Leann (Andy) Mryglod and his two great grandchildren Wyatt and Dyson Dobmeier. Louie leaves to cherish his memory his five siblings Mervin (Lorraine) Evans, Eleanor McConnell, Jean (Dennis) Halvorson, Gordon Evans, Reginald Evans. His four brothers in law Herb Giesbrecht, Gayle (Marie) Schmidtz, Gerald Schmidtz and Lionel (Janet) Schmidtz one sister in law Jenny Evans as well as numerous other relatives and friends. Louie was predeceased by his parents Raymond and Edna Evans; siblings Marjorie (Art) Fjeld, Hazel (Ford) Lindbloom, Evelyn (Haakon) Holmevik, Esther (Garny) Pederson, Lillian (Bill) Prost, Howard Evans, Arthur Evans, Rose Giesbrecht and Muriel Giesbrecht. A Memorial Mass will be held on Wednesday, March 20, 2019 at 1:00 p.m.- St. Michael Parish, 1505-13 Street West, Prince Albert, SK with Reverend Father DJ Vu officiating. Interment will be held at a later date. Donations in Louie’s memory can be made to the Saskatchewan Lung Association, 1231 8 St E, Saskatoon, SK S7H 0S5. Condolences may be sent to the family at www.grays.ca. Funeral arrangements have been entrusted to Gray's Funeral Chapel.